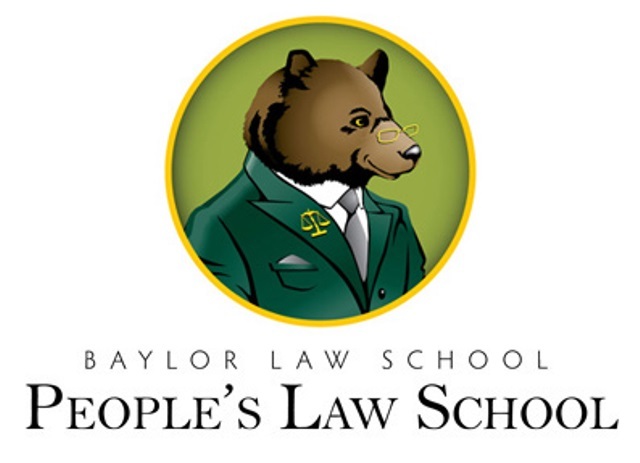 WACO, Texas (Feb. 10, 2015) – Baylor Law School presents its 10th annual People’s Law School, a free half-day curriculum of courses designed to educate the public about their legal rights and to make the law user-friendly. Courses begin at 8:30 a.m. Saturday, Feb. 14, at Baylor Law School. Registration is available online. Courses will focus on consumer rights, small business, landlord and tenant rights, retirement planning, wills, elder law, employment law and family law. A special track of courses titled Teacher’s Law School is specifically designed for teachers. Participants may choose up to three courses from the 14 offered. Each course is one hour long. A full list of courses can be found online. The following are examples of available courses. Buying and Selling Real Estate: A look at what buyers and sellers should know about real estate transactions, including the contract of sale, title insurance, the seller’s disclosure obligation and related issues. Keeping Your Church out of Court: Churches face a variety of legal issues. In this course, the instructor will address some of the most common ones while offering suggestions on organizing, operating and insuring. Pitfalls for Nonprofit Corporations: Nonprofit law is surprisingly complex. The instructor of this course will identify some of the most common pitfalls faced by nonprofit corporations and address how to avoid them. Wills and Estate Planning: Everyone should have a will. Students in this course will learn the requirements of a valid will and basic estate planning considerations. Law School: How to Get In: Whether you are currently in college or contemplating a second career, this course will provide you the information you need if you are considering applying to Baylor or another law school. “Everyone who attends can benefit by getting a good, common-sense understanding of the law and the topics covered by the People’s Law School,” said Stephen Rispoli, director of student relations and pro bono programs at Baylor Law School. Baylor Law School professors and local attorneys who are teaching these courses will be available for pre-event interviews. To schedule an interview, email Rispoli or call 254-710-3927. This event is free and open to the public. Baylor Law School is located at 1114 S. University Parks Drive in Waco. To view a full list of courses or register for the event, click HERE. Established in 1857, Baylor Law School was the first law school in Texas and one of the first west of the Mississippi River. Today, the school has more than 7,000 living alumni. It is accredited by the American Bar Association and is a member of the Association of American Law Schools. Baylor Law School has a record of producing outstanding lawyers, many of whom decide upon a career in public service. The Law School boasts two governors, members or former members of the U.S. House of Representatives and the U.S. Senate, two former directors of the FBI, U.S. ambassadors, federal judges, justices of the Texas Supreme Court and members of the Texas Legislature, among its notable alumni. In its law specialties rankings, U.S. News & World Report ranked Baylor Law’s trial advocacy program as the third best in the nation. 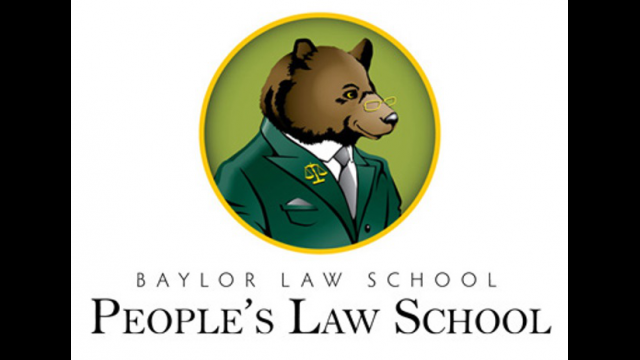 Baylor Law School is also ranked No. 51 in the magazine’s 2015 edition of “America’s Best Graduate Schools.” The National Jurist ranks Baylor Law in its top 10 law schools for practical training, and second best value in private legal education in the nation. The Business Insider places Baylor Law among the top 50 law schools in the nation. Learn more at www.baylor.edu/law.